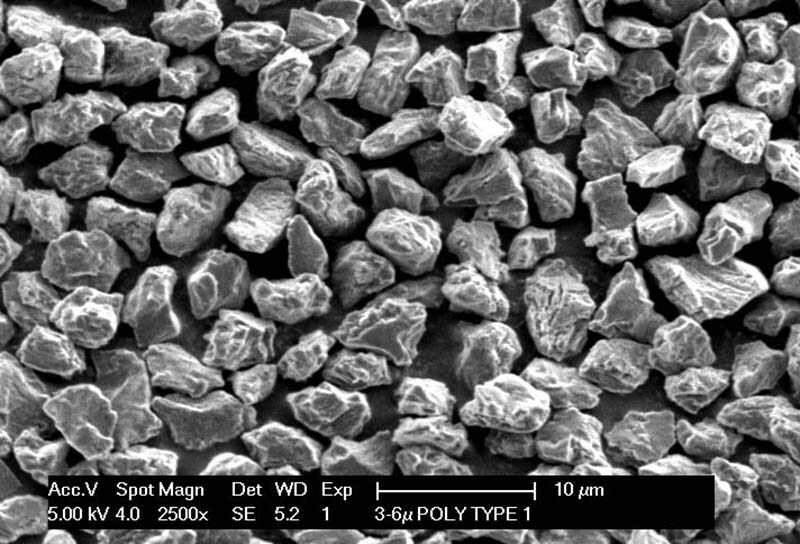 Saint-Gobain Surface Conditioning's polycrystalline micron diamond is produced in a controlled explosion known as shock synthesis. The resulting grains feature a very rough surface morphology. 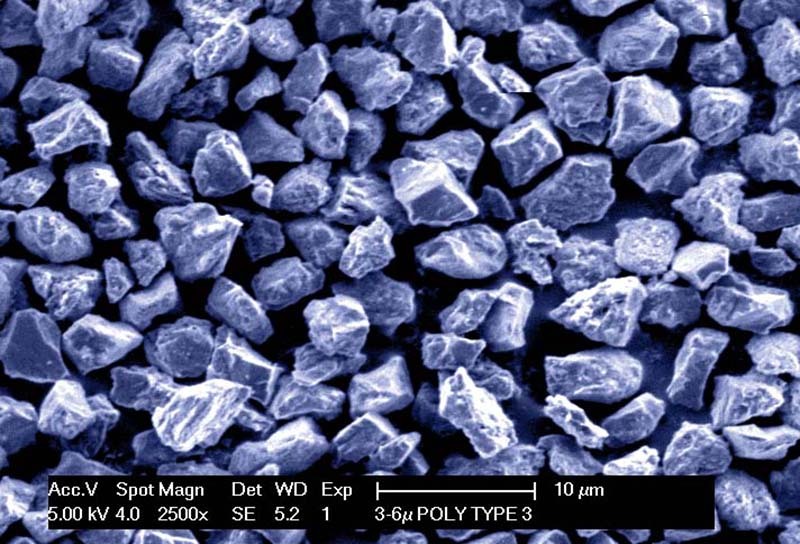 Our polycrystalline micron diamond maximizes productivity in lapping and polishing processes across a wide range of applications. We offer three polycrystalline types with varying shapes and properties designed to meet demanding surface finishing requirements in a variety of industries. 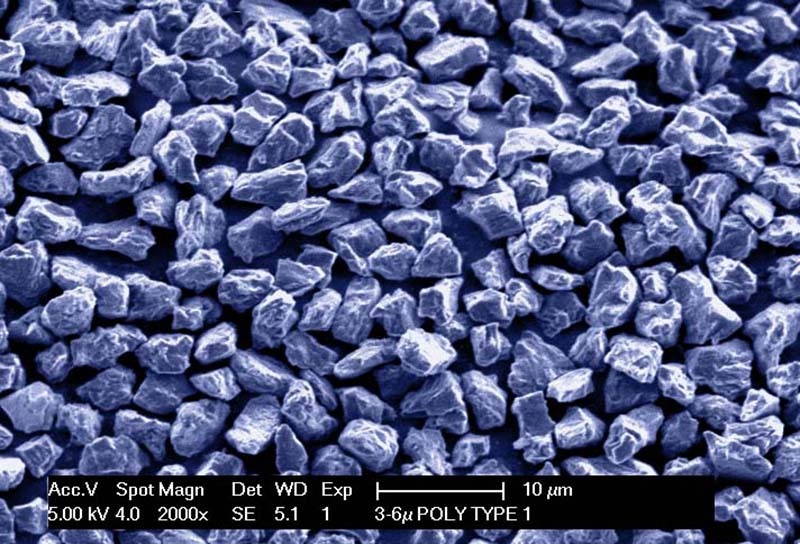 Polycrystalline diamond (PC) is available in sub-micron and micron sizes in four types; Type 1, Type 2, Type 3, and Type 4. Each type is engineered in terms of shape and surface properties for specific lapping and polishing applications of hard, brittle materials. 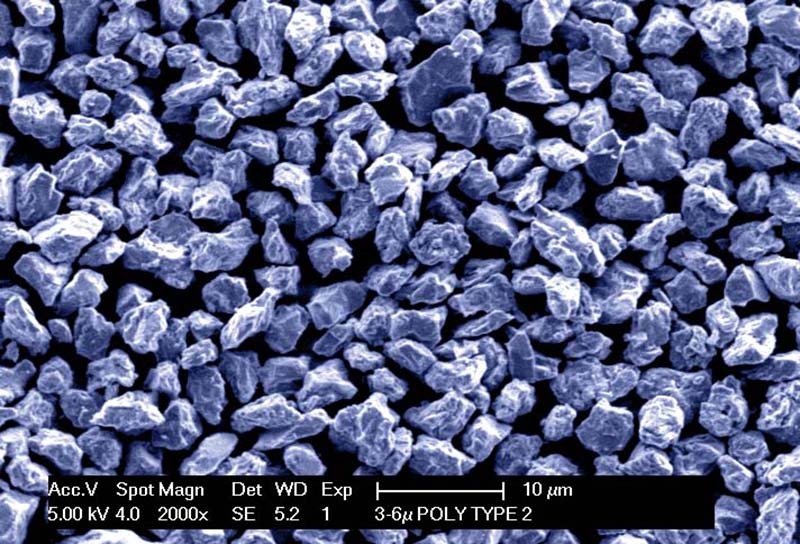 PC diamond is favored for use in high production lapping processes where productivity is key. Because of the multiple cutting points on PC crystallites, lapping is more aggressive and MRR (material removal rate) can be optimized. Our technical department can provide specific product recommendations based on your application requirement. 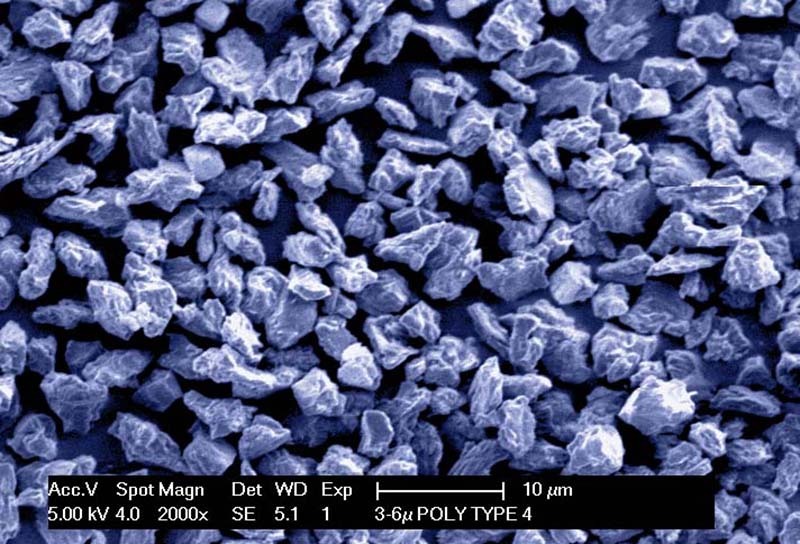 Ultra-detonated diamond (UDD) is available in sizes as fine as 30 nm (30 x 10-9 m) and can be used in related superfinishing applications on hard, brittle materials.